India is truly a land of diversities. People are of various ethnic origins, races, who speak in different types of language (some of which are so separate from each other that they do not even share a common script or can comprehend each other) and of course different religions. So, when looking for pilgrimage travel india, there are almost six major religions, which are practised in India, and each of them have their definite sacred pilgrimage destinations in India. Though there are more than six religions, which are practised in India, depending upon the number of people following a particular religion, the following six, namely- Hinduism, Islam, Christianity, Buddhism, Jainism and Sikhism are the most popular religions in India. Hinduism Pilgrimage: Since a large number of the Indian population follows this religion, India is primarily identified as a Hindu country. The country is strewn with places of Hinduism pilgrimage. 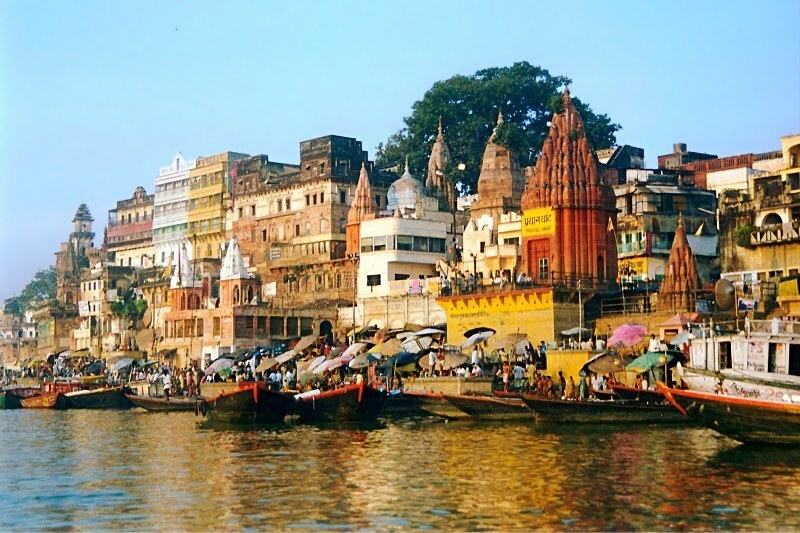 The most celebrated city for Hindu pilgrimage is the city of Varanasi. Believed to be more than a 100 years old, this city is of historical as well as religious significance. The Vishwanath temple, dedicated to Lord Shiva is the place where people flock to from various parts of the world. The Hindus believe this temple to be very sacred and whatever you wish for here is bound to come true. The city of Varanasi also has a lot to offer. The Ganga, in its prime, passes through the city, flowing slowly but steadily. Every evening, offerings are made to the river, who is also a revered goddess of the Hindu pantheon. This offering or popularly known as the arati is something worth watching. People flock to the ghats and some even rent boats and sit in the river to watch the city light up. 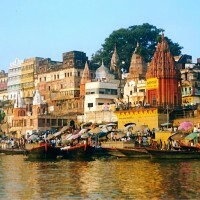 Varanasi is the ultimate place for Hindu pilgrimage. Muslims Pilgrimage: The second most popularly practised religion of India is Islam. There are many places of Muslims pilgrimage across the world as well as the country. 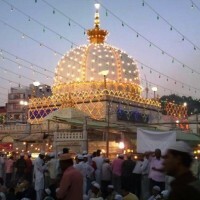 If you are in India and want to pay homage to this faith, then Ajmer Shariff in Rajasthan is what you must visit at least. People from different religions are allowed within their compounds where you can sit and enjoy the music of the pirs or simply the spend some time with yourself. When you make a prayer or a wish, you have to tie a string on the walls of the Dargah. Once your wish comes true, you are supposed to visit the Dargah again to untie the knot and make a new wish if you want to. This place is believed to be very sacred since all the wishes so far have come true for many. The shrine here is dedicated to Khwaja Moinuddin Chisti, who is believed to a descendent of Garib Nawaz, who again shared a common ancestry with the Prophet. Chisti advocated a branch of Islamic thought, which is known as Sufi Sulh-e-Kulh, which advocated the need for a Muslim and Hindu unity. This place is generally pretty crowded but even amongst all the chattering, you will be able to connect with your inner self within the Dargah’s precincts. Christian Pilgrimage: Christianity, like Islam, is not religion that was born in India. Christianity came to India with the colonizers, mainly British, who while establishing trade relations also began to preach the mercy of Jesus Christ and attracted a large number of followers. Cases of forceful conversions were there, but they were negligible when compared to the cases of wilful conversion. Christianity is particularly practised in certain parts of the country. Goa is a union territory, which once used to be a Portuguese colony, where Christianity is widely practised today. Goa is studded with churches and if you are looking for Christian pilgrimages in India, this is the place you would want to visit. 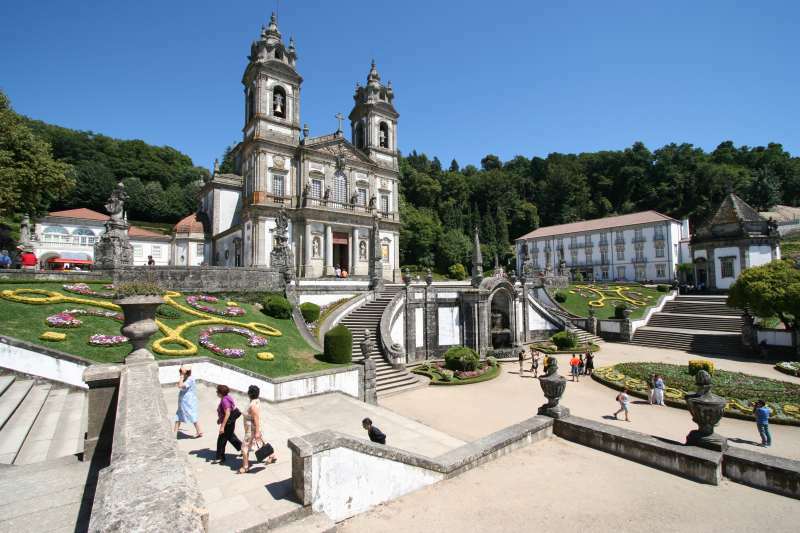 The Basilica, dedicated to Bom Jesus, is the first church, which was accorded the place of Minor Basilica, in India. All the churches in Goa boast of beautiful architecture along with serenity within the Church halls, which will surely get your prayers heard. Buddhist Pilgrimage: Another popular religion in India is Buddhism. This religion developed sometime during the 6th century BC to protest against the tyrannical and dogmatic constraints of Brahmanism, which was being practised in name of Hinduism. Buddhism had a far-reaching effect, and it spread out to various parts of the world, predominantly in the whole of South East Asia. The most prominent of all Buddhist pilgrimages in India is Bodhgaya. Located in Bihar, this is the place, where Buddha is believed to have achieved his enlightenment. 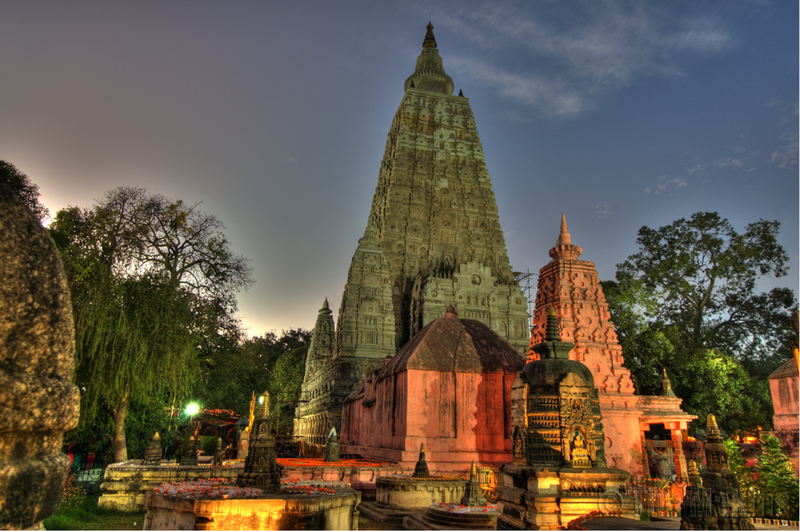 The Mahabodhi temple here is also a well known pilgrimage spot for a lot of Buddhists. Jain Pilgrimage: Simultaneously developing along with Buddhism, there was Jainism. Both these religions spoke against the ritual practises and advocated non-violence, Jainism focussing largely on the second point more strongly. There are various places of Jain pilgrimage in India. The Gomateshwara or Bahubali Temple in Karnataka is a revered place for the Jains, who visit this place, at least once in their lives. Sikh Pilgrimage: Another religion which struggled to come out of the grasp of Hinduism is Sikhism. India is a land of many followers of this religion, and hence, Sikh pilgrimage in India spots abounds in plenty. The most famous of these is definitely the Golden Temple in Amritsar. The lake surrounding the temple reflects the golden light of the structure in all its grandeur making a visit to this temple not only sacred but also surreal. So now that you know which the most important places are when it comes to pilgrimage travel in India, you can pack your bags and set off on a tour to some of the most exciting, busiest and holiest places in the world!